With winter weather now taking hold, Vermonters are readying their bird feeders. “Birds of all species have very interesting behaviors, shapes, and plumage and have captured the human imagination for millennia. Winter feeding is an opportunity to witness first-hand the fascinating array of bird life, often near our homes,” said John Buck, Vermont Fish & Wildlife’s migratory bird biologist. Make sure your feeders are free of potentially harmful germs by cleaning them with a very dilute (10 percent) chlorine solution and rinsing with water. This will greatly reduce the possibility of bacteria and viruses being harbored at the feeder. Finally, position feeders far enough from windows and other glass structures to reduce the likelihood of birds colliding into them. Collisions are a major source of bird mortality each year and feeders 4 to 10 feet away from windows cause the most problems as birds flush off a feeder and hit windows with a lot of speed. Additionally, keep cats inside, as domestic cats kill billions of birds worldwide each year and birdfeeders can make birds particularly easy prey for them. According to Buck, birds are quite capable of finding food in the wild but are attracted to feeders because of the relative ease with which they can find it at a feeder. Some common seed types that attract birds are sunflower, thistle, and millet. These are sold separately and in combination at most general hardware stores as are a host of feeder types and styles. Suet from your local meat cutter is a favorite of many birds. Another means to feed birds is to leave your late-blooming flower gardens uncut to allow the birds to pick at seed heads of flowers like Black-eyed Susan’s and other cone flowers. If you have the space, growing your own sunflowers and letting them stand is another great source of ‘natural’ food. Vermonters who feed birds will have plenty of company. According to a 2011 report by the U.S. Fish & Wildlife Service, 63 percent of Vermont residents identified themselves as bird watchers around their respective homes and nearly half of all households in Vermont feed birds. The state also leads the nation with 39 percent of residents participating in bird watching away from home. 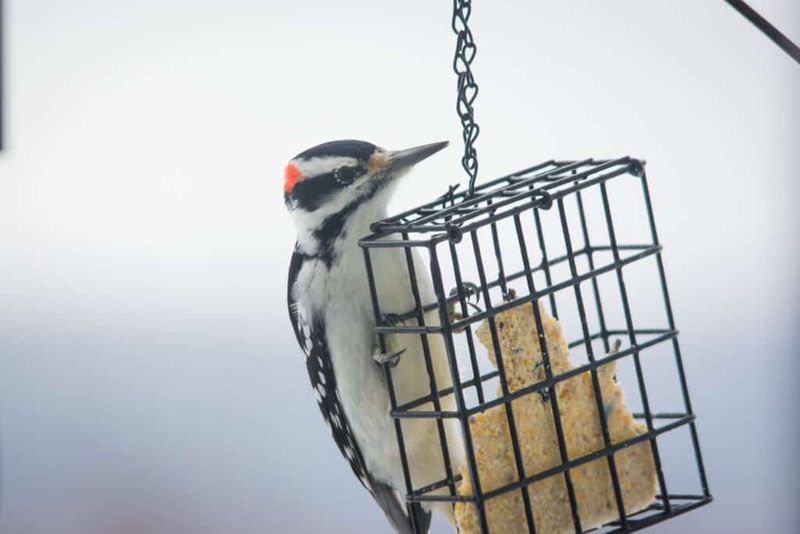 Bird feeding and watching can be a boon to local businesses too, with an estimated $12.4 million in annual bird seed sales, and a total of $65 million in all bird watching supplies sold in Vermont each year. Vermonters wishing to do more for birds can make a tax-deductible donation to the Nongame Wildlife Fund online 29 of the state tax returns, or by donating to the fund directly at vtfishandwildlife.com.